Thanks to EASY GROUNDING, the grounding of your PV installation (done with EASY ROOF EVOLUTION, EASY ROOF INDUSTRIAL and EASY ROOF FLAT) is easier and faster. 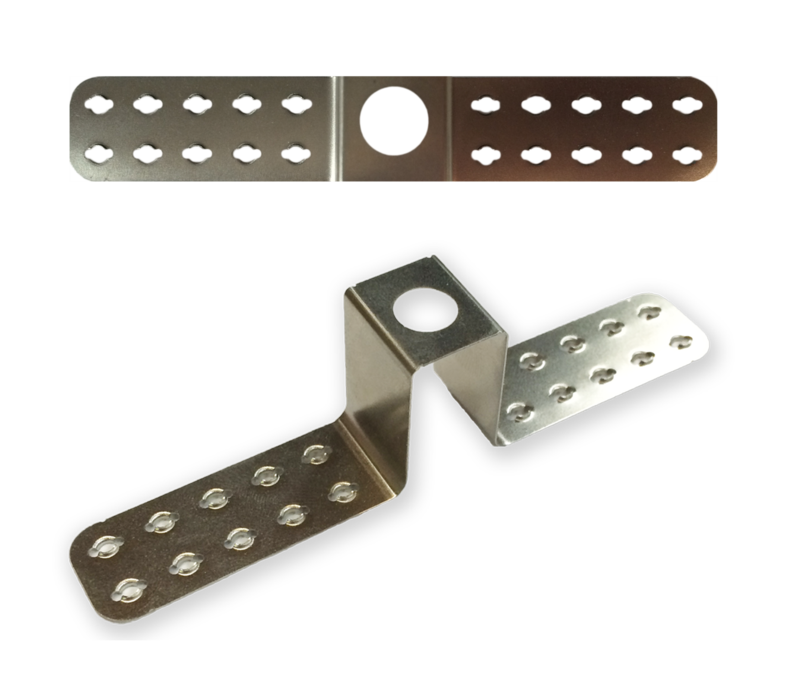 Just add one EASY GROUNDING on one EASY ROOF EVOLUTION double bracket or EASY ROOF INDUSTRIAL rail, to connect 2 PV panels. 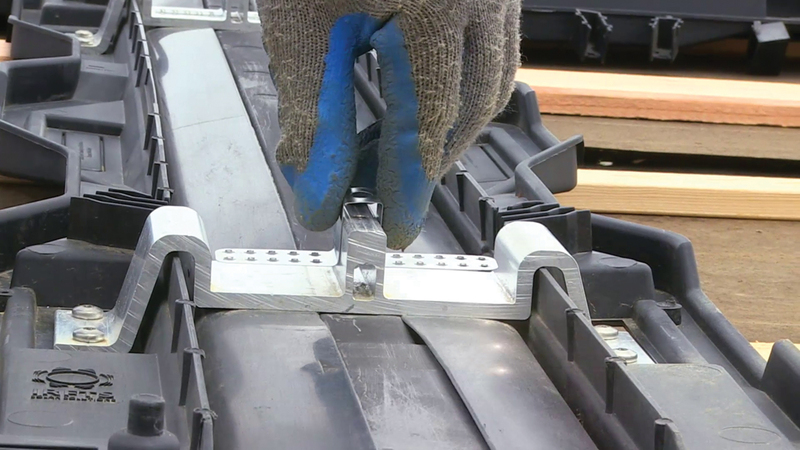 Under the clamping torque, the teeth of the EASY GROUNDING pierce the anodized coating and create bond between PV panel and the EASY ROOF mounting system for path to electrical ground. Adjustable with all modules compatible with EASY ROOF EVOLUTION, EASY ROOF INDUSTRIAL and EASY ROOF FLAT.